The London Locksmith offers door lock change, repair, replacement and installation in London, Islington, Hackney, Camden, Westminster, Walthamstow, Tower Hamlets, Shoreditch, Haringey, Bromley and all surrounding areas within the M25. If you need a home lock change, home lock repair, residential lock replacement or any other locksmith service, contact the customer service team at The London Locksmith right away. 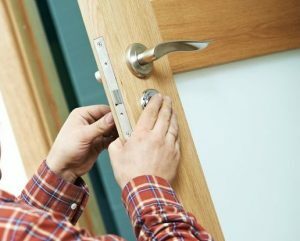 Our friendly staff will discuss your needs and can schedule a convenient time for you to meet with one of our experienced local residential locksmiths. The only thing keeping your home safe from intruders is the locks on your doors. If they aren’t working properly, then you may be risking a break in. Be proactive and get the help you need right away. At The London Locksmith, we have years of experience handling a variety of different locks including: window locks, high security locks, deadbolts and more. If you need a residential lock repair, our team of expert locksmiths will be able to get it back in working order quickly. If you are ready to upgrade to a high security lock, we can also provide a home lock replacement for single or multiple areas of your property. Contact us today to find out what options are available for you and your family. Discovering you have a broken lock after hours can be a big problem. You shouldn’t have to leave your door unlocked over night or through the weekend. The London Locksmith is happy to provide 24/7 emergency residential locksmith services for local residents. Whether you need an emergency residential lock change, home lock repair or any other lock related service, we will be there to help right away. Give us a call and we’ll send out a technician, even on the weekend or in the middle of the night. Do You Need a Home Lock Replacement or House Lock Change? Nothing is more important than keeping your home and family protected. If your family is ready to invest in quality services for your home lock change, home lock repair or residential lock replacement, contact us. Simply pick up the phone and give us a call at The London Locksmith. We want to help you find the perfect solution for your home’s security and lock system, so you can keep your loved ones safe. Contact us today to find out how we can help.